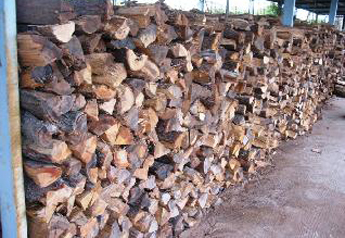 Cave Creek Firewood specializes in supplying high quality fireplace woods, cooking woods and charcoal to many of the finest restaurants and resorts in Arizona. 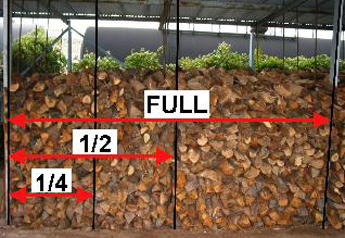 Firewood Fuel & the Environment The heat produced by burning firewood is actually the energy of the sun, the ultimate source of all energy on planet earth. Through the process of photosynthesis, arguably the single most important thing that happens on our planet, trees are able to store solar energy as chemical energy that we can use for heat when the sun abandons us to the cold dark days of winter. Burning wood is just the quick reversal of this process, liberating the suns heat when we need it most. 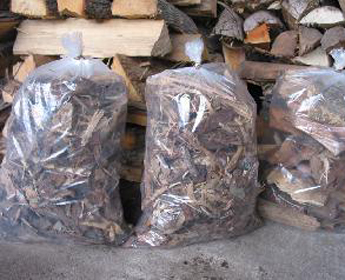 Cooking wood chunks available by the bag. Gourmet woods for special cooking needs! Prices below are for pickup from our yard. There will be an extra charge for delivery. Kindling is a fast way to the get fire going.